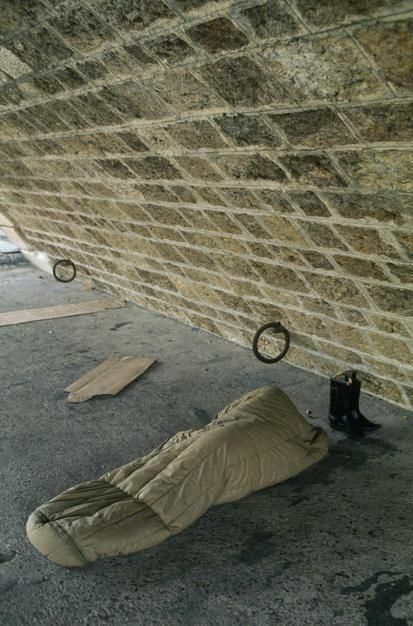 A poor traveller sleeps in a sleeping ag underneath a Paris bridge, Ile de la Cite. 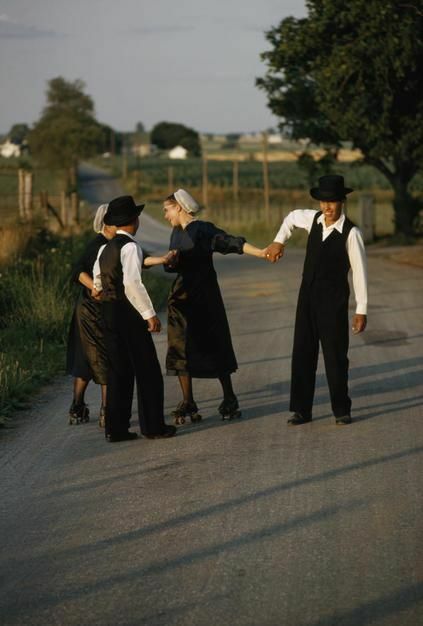 Amish lads pull roller skating friends on a country road in Lancaster Country, Pennsylvania. 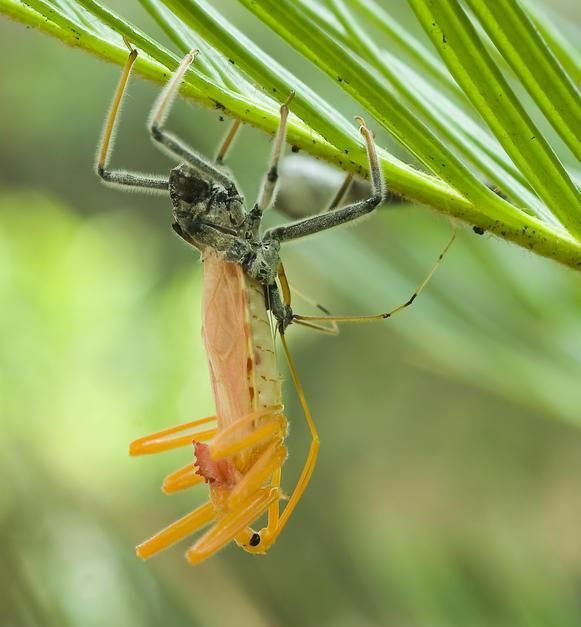 A nymph that has almost completely morphed. 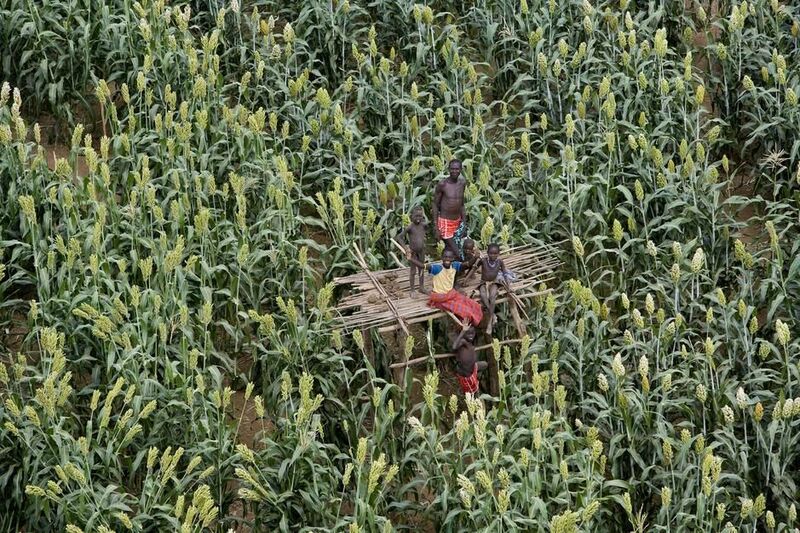 People on a platform in a field of Sorghum. 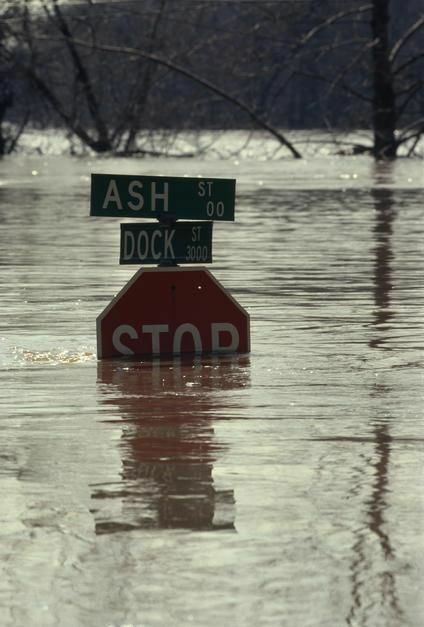 Street sign submerged in flood waters in Richmond, Virginia. 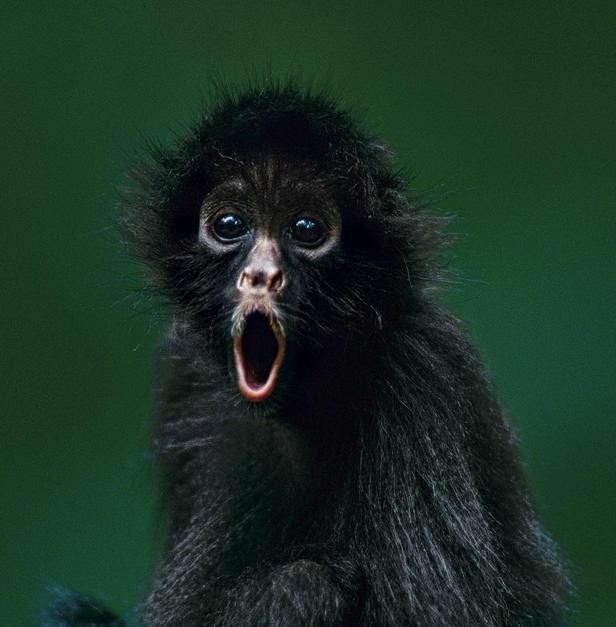 Portrait of an orphaned Peruvian spider monkey in Madidi National Park. 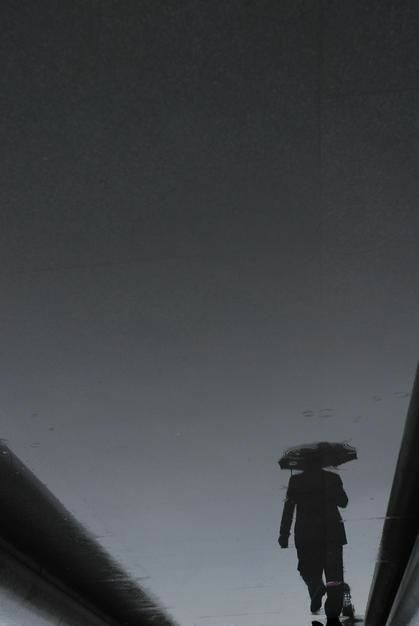 One-handed a cyclist maneuvers his bike while holding an umbrella. 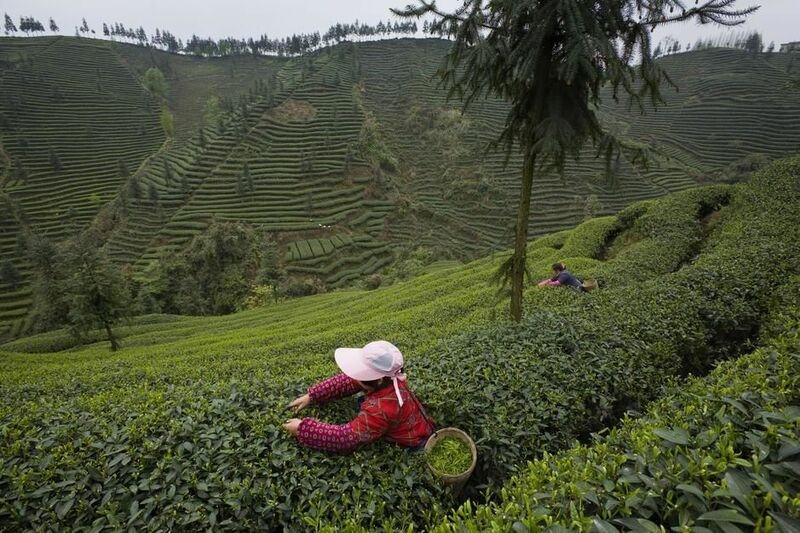 Harvesting tea leaves at the Mingshan Ecological Tea Garden in Sichuan. 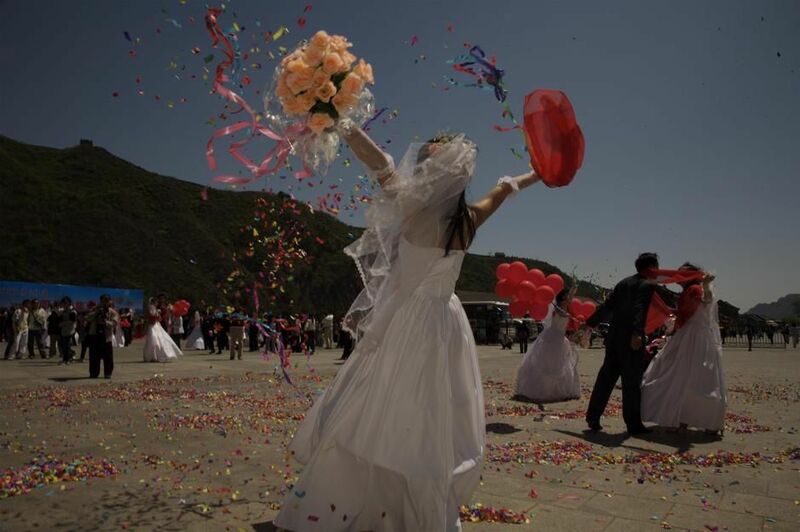 A mass wedding at the Great Wall of China. 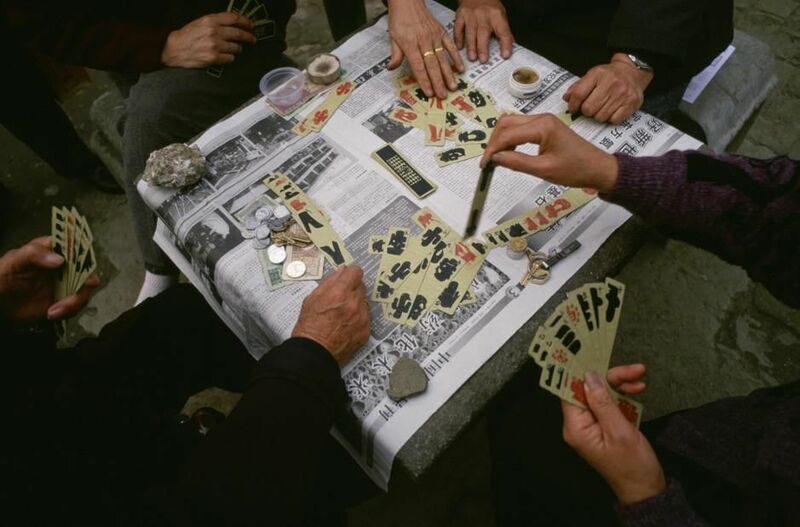 Women play Chinese Mahjong in a park in in Wuhan, near the Yangtze River. 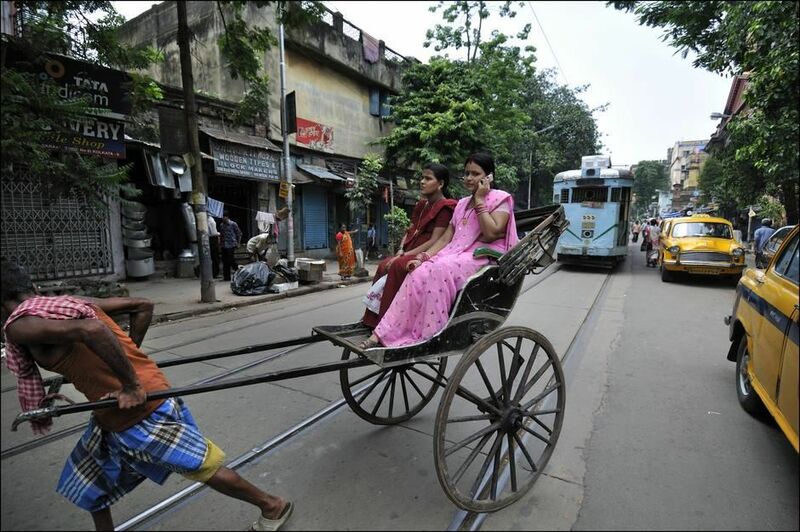 A woman talks on a mobile phone while riding a human-powered rickshaw in Kolkata, West Bengal. 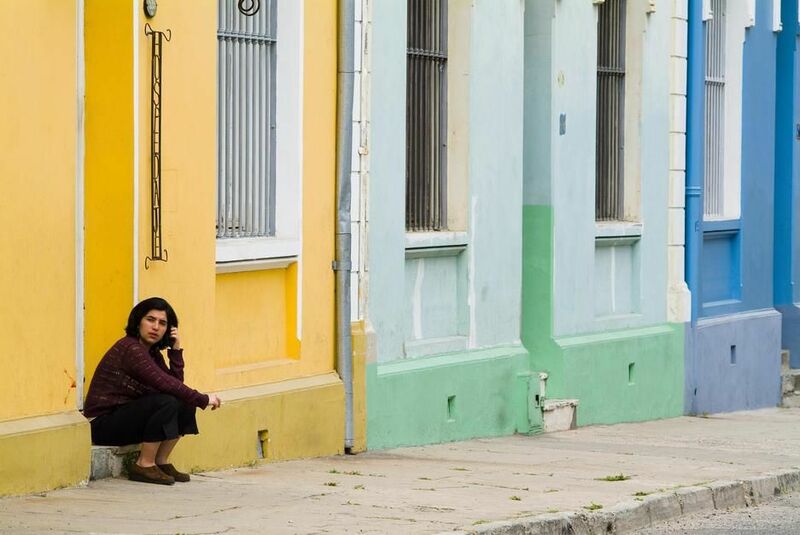 A woman sits on the stoop of an orange building in Valparaiso. 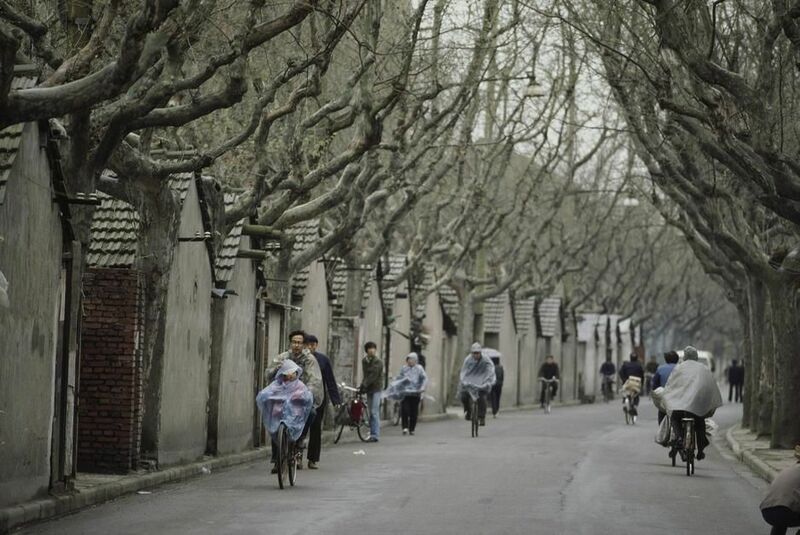 Cyclists pedal down the old hutongs (alleys) of Shanghai. 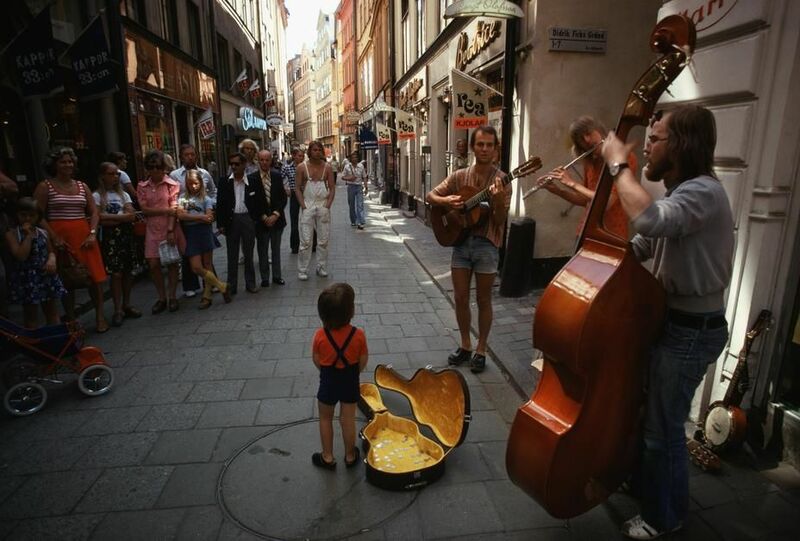 Pedestrians stop to listen to street musicians in Stockholm. 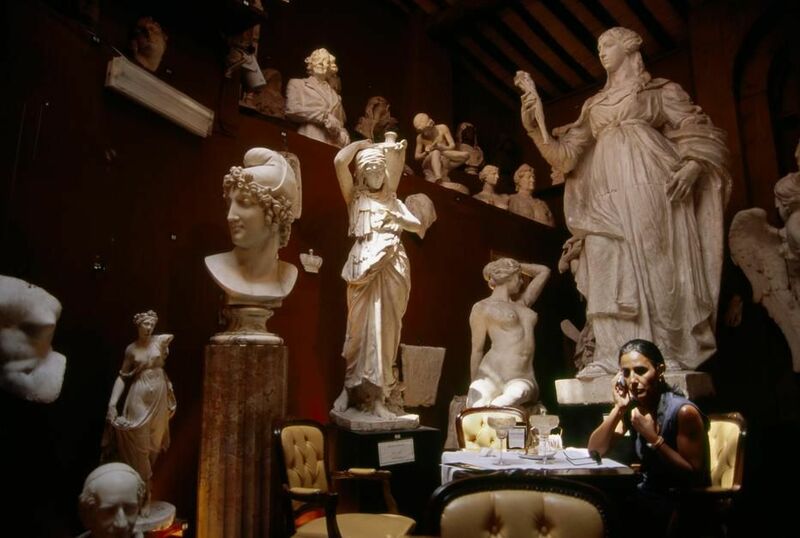 A woman talking on a cellphone in Canova Tadolini Restaurant, Rome. 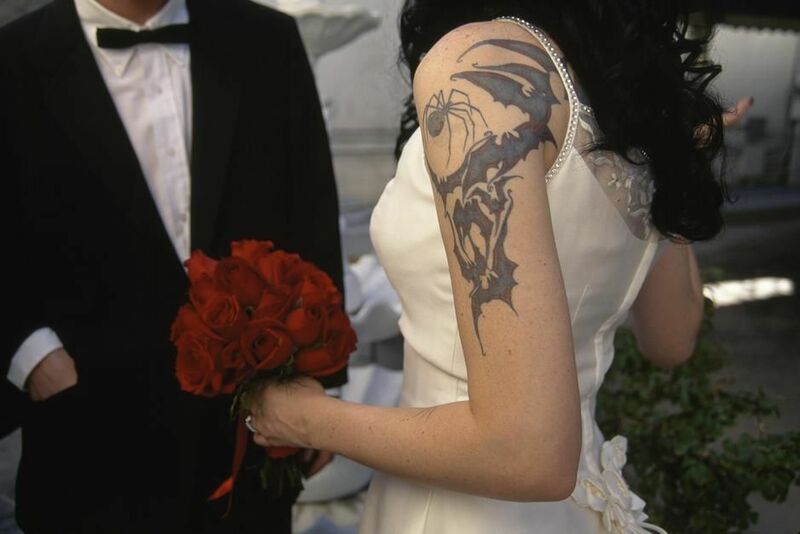 A tattoed bride and her groom, Little White Chapel, Las Vegas. 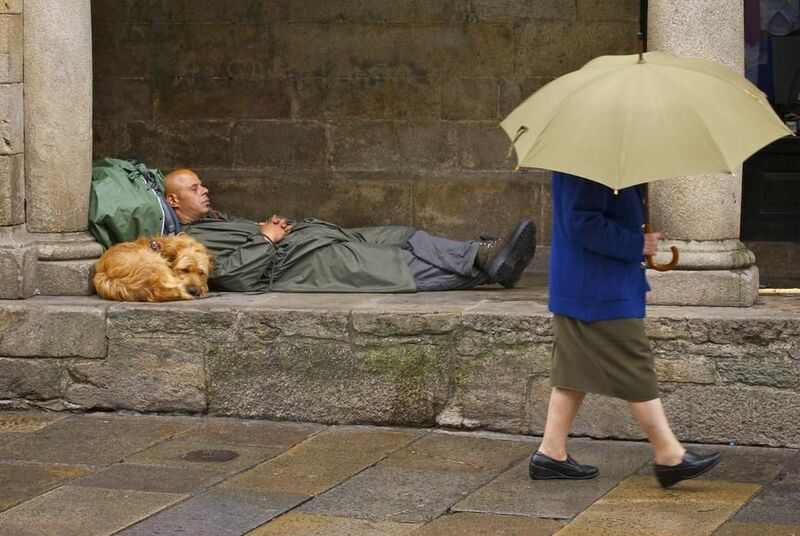 A woman carrying an umbrella passes a man on a pilgrimage sleeping in Santiago de Compostela, Galicia. 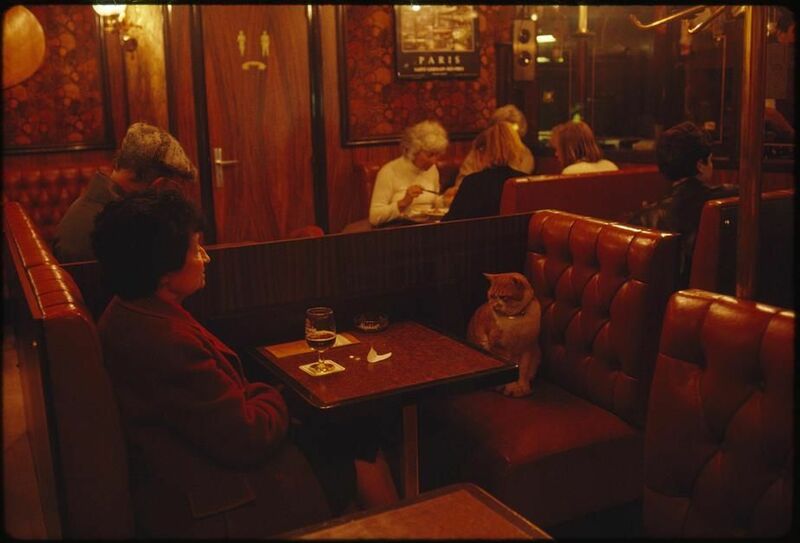 A regular at Le Louis IX, "Caramel" keeps a client company in Paris. 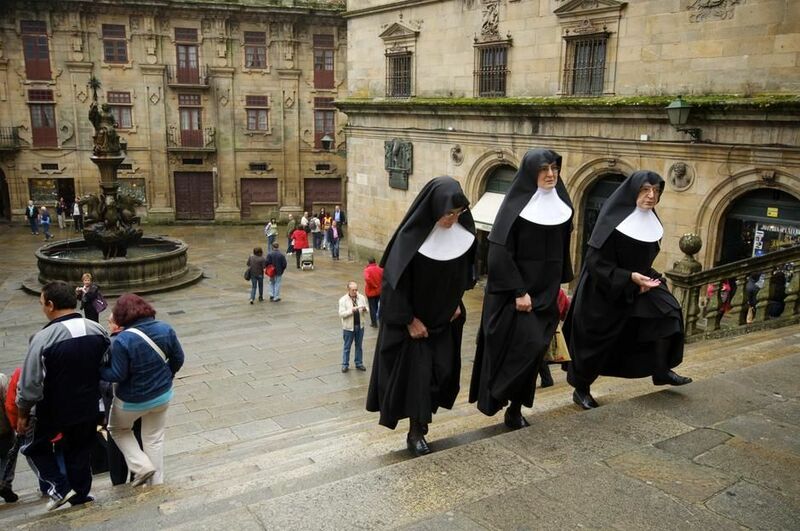 Three nuns climb a stone stairway in a city square in Santiago de Compostela, Galicia. 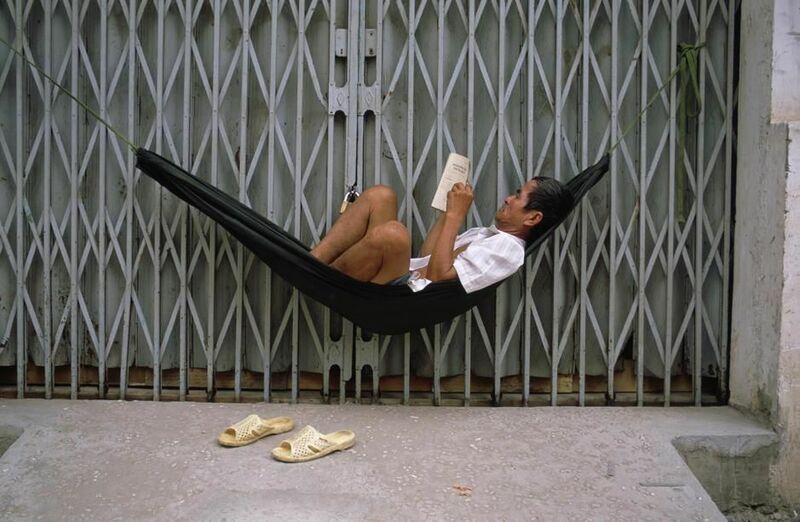 A man in a hammock reads a book outside the closed door of a shop in Saigon. 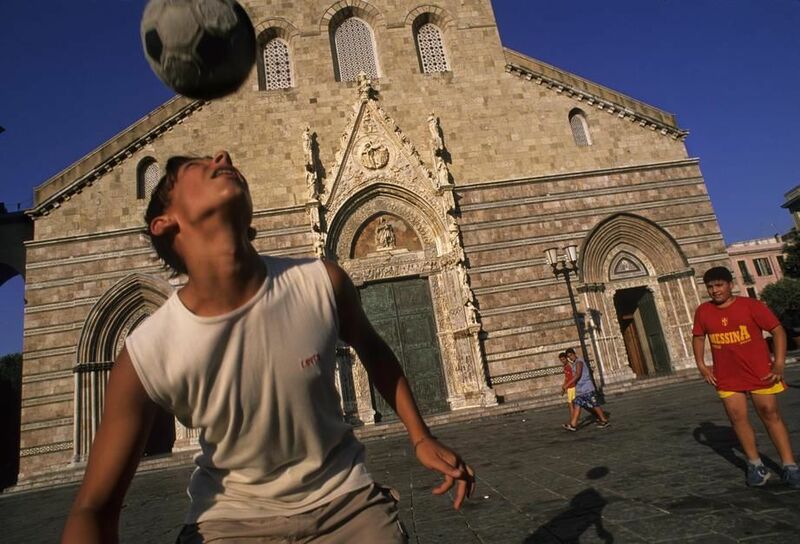 Soccer in front of the 12th century Cathedral in Messina, Sicily. A man and his daughter lean against each other reading on Nanjing Lu, Shanghai. 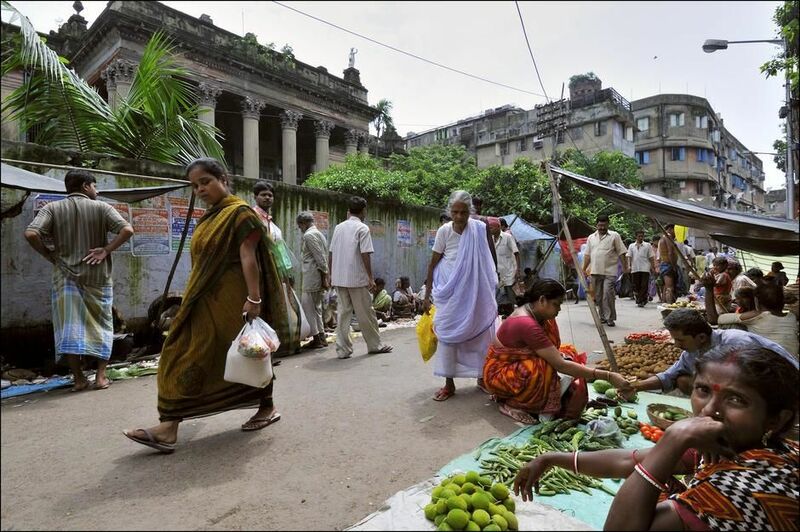 Mullick Bari, a once grand mansion belonging to an Indian trading family, Kolkata, West Bengal. 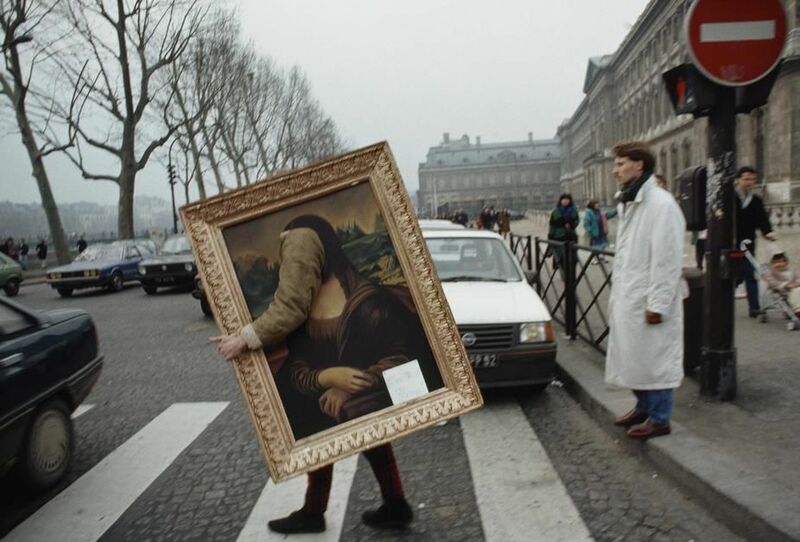 A man's reflection in the black granite floor in front of the Louvre, Paris. 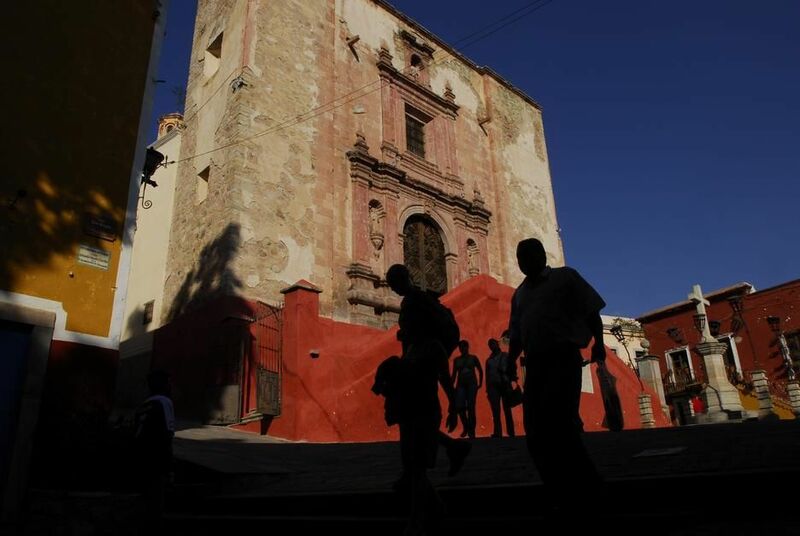 Pedestrians outside San Roque Church, Guanajuato. 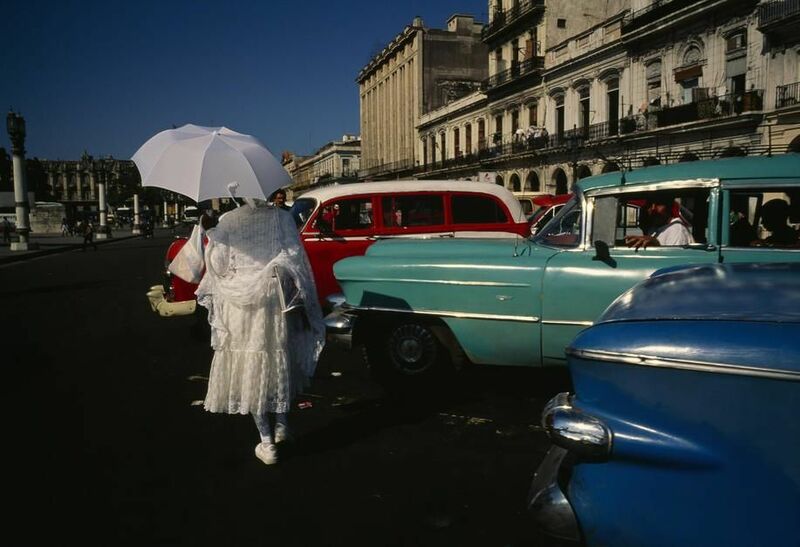 A woman in formal dress carrying an umbrella passes by vintage cars in Havana. 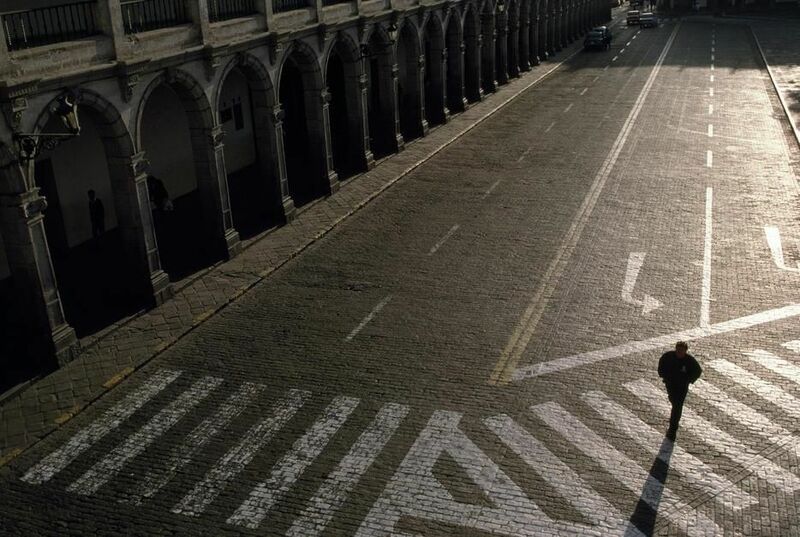 A man crosses the cobblestones of the Plaza de Armas in Arequipa. 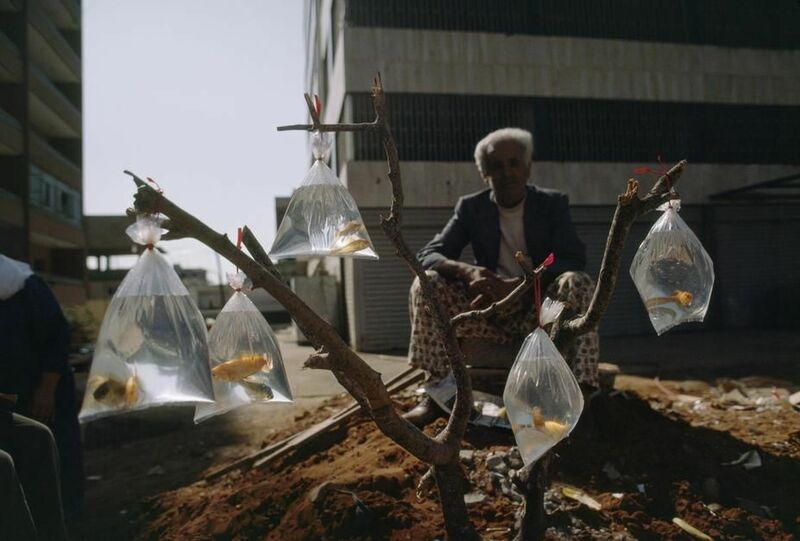 A man sells goldfish in bags tied to a tree branch in the Shatila Palestinian Camp of Beirut. 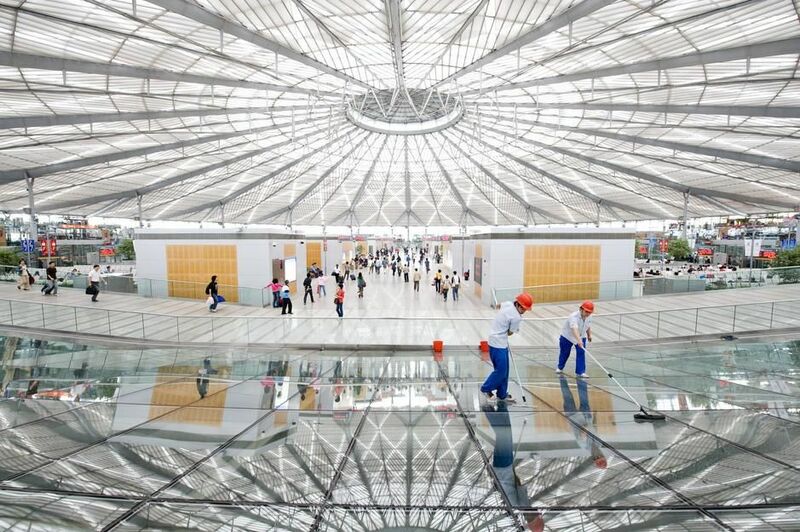 The Shanghai South Railway Station, Shanghai. 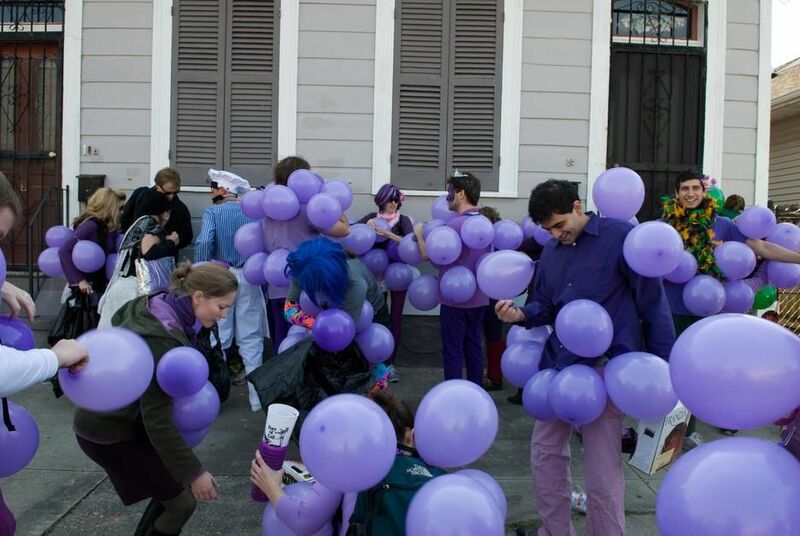 People parade, dressed as grapes and carrying boxes of wine to serve to spectators in New Orleans, Louisiana.